The Sweetheart fruit is a large, heartshaped fruit with a small "chicken tongue" seed. This fruit is sweet and delicious tasting. 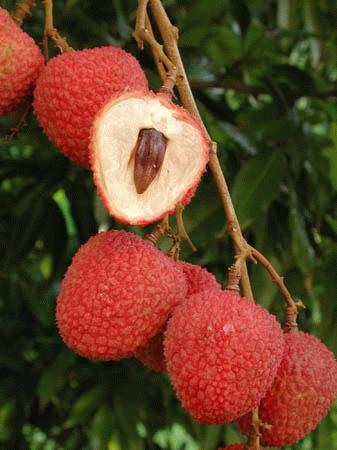 It is very similar in taste to the Haak yip and is considered by many as the best lychee fruit grown in Florida. The Sweetheart is a new comer on the Florida Lychee scene and we feel that this will become a variety of choice among commercial and back yard growers, especially because of it's consistent bearing habits.